Folding step stool 9". Convenient Carry Handle. Color - Blue. Model - 253. Item Image. Date: 23/02/2014. Date: 24/12/2013. Ideal for small spaces, the bar stools easily and neatly stack together, making them easy to stash out of the way for storage. A handle in the seat makes the stools easy to pick up and move. Lightweight and sturdy, each stool weighs only 11 lbs., but is strong enough to hold up to 330 lbs. A handle in the seat makes the stools easy to pick up and move. 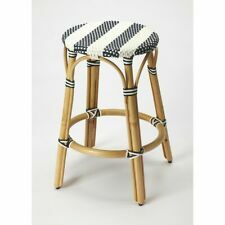 Lightweight and sturdy, each stool weighs only 12 lbs., but is strong enough to hold up to 330 lbs. No-mar rubber feet keep them from sliding and scratching hardwood floors. 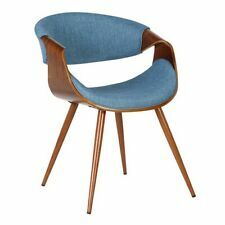 This mid-century style dining chair features a comfortable curved back upholstered in beautiful fabric. The arms of the Butterfly are curved extensions of the back, making this chair a truly unique and stylish piece. Made of Rattan, Polyurethane synthetic rattan. Expertly crafted from thick bent rattan for superb durability, it features weather resistant woven plastic in a blue and white striped pattern. Baby & Kids' Furniture (2810). The unique cut-out design that forms the back of the LumiSource Gardenia Barstool adds considerable visual interest to this exciting option for barstool seating. The rounded back adds comfort while the woven fabric upholstery lends a dressed-up air. Let sunlight filter through and nurture experiences of enduring light. Set Includes. Two - Stencil Chair. Kitchen & Dining (1376). Modern dining or accent chair. Organic leafy forest motif. Skin Care, Bath & Body (73). 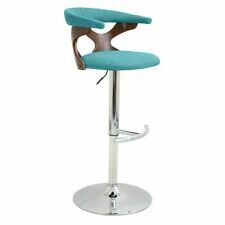 Retro never goes out of style and the LumiSource Curvo Barstool is a great example with its modern updated take. The cut-out back creates an open, airy feel while the wide, curved seat and walnut armrests add style and charm. The LumiSource Trevi Chair is a modern take on a signature ladder back design. A plush seat is upholstered in woven fabric, accented by brilliant walnut colored wood backrest and sturdy wooden legs. 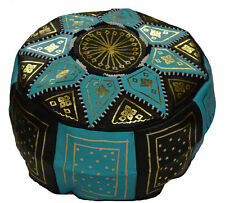 The Designs4Comfort Round Accent Storage Ottoman will bring new life to any space. Featuring a removable lid for concealed storage that is also reversible! Flip over the lid to reveal the multifunctional tray. Part of the Surya Furniture Collection. 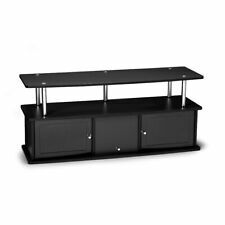 Bar Furniture (529). Baby & Kids' Furniture (2810). Bathroom Furniture (6313). Bedroom Furniture (400). Leg material: Wood; Black finish. Office Furniture (826). Popular for decades in nurseries and other eclectic spaces, Rocker is an ambitious piece richly filled with symbolism. The original designers spared no effort searching for new materials and shapes. Designs4Comfort 7th Avenue Storage Ottoman is accented with beautiful Nailhead beaded trim along the bottom. This is a multifunctional ottoman that makes an attractive and comfortable bench. Available in multiple finishes, this piece will bring new life to any decor. Available in bar and counter heights. Part of the Brescello Collection. Bedroom Furniture (400). Bathroom Furniture (6313). Finish: Antique Pewter / Blue Stone Top Panel. Fabric: Charcoal PU (Faux Leather). Color: Dodger Blue. Skin Care, Bath & Body (73). Our goal is to provide you with a huge selection and the freedom to choose from only top quality products, without overwhelming you with poor value options. Rise to the occasion with the Swell Armchair. Set Includes1 - Swell Armchair. Color: Azure. Dense Foam Padding. Baby & Kids' Furniture (2810). Bar Furniture (529). Bathroom Furniture (6313). Bedroom Furniture (400). Let sunlight filter through and nurture experiences of enduring light. Set Includes. One - Stencil Chair. Kitchen & Dining (1376). Modern dining or accent chair. Skin Care, Bath & Body (73). Baby & Kids' Furniture (2810). Available in bar and counter heights. Part of the Brescello Collection. Finish: Antique Pewter / Blue Stone Top Panel. Fabric: Charcoal PU (Faux Leather). Charcoal PU (Faux Leather). Baby & Kids' Furniture (2810). Inspired by Mid Century styling the Oslo Two Drawer End Table will transform any space. This end table is available in multiple finishes from beautiful high gloss finishes to lovely wood grain finishes so you’ll be sure to find the right finish for your decor. Featuring a hinged lid that hides a spacious storage space and turned solid wood feet. Spacious Concealed Storage. Finish: Blue Fabric. So why buy from us?. And our friendly and knowledgeable phone staff is available 24-7! The Tintori Barstools are both clean and modern. Finish/Color: Blue. So why buy from us?. And our friendly and knowledgeable phone staff is available 24-7! How do you know when your data is secure?. Its blue tone-on-tone square cotton upholstered seat is beautifully supported by four iron hairpin legs. Finish: Butler Loft. Part of the Butler Loft Collection. Made of Acacia Wood Solids, MDF, Cotton Fabric, Urethane Foam, Iron. The wide welcoming seat of the LumiSource Fabrizzi Barstool beckons for one to sit and unwind for a while. A scooped, contoured seat and curved back add to its modern yet chic design. Finish/Color: Walnut, Blue. Our goal is to provide you with a huge selection and the freedom to choose from only top quality products, without overwhelming you with poor value options. Kids' Play (539). A padlock icon should also appear at the top of your browser. Gently sloping curves and plush cushion create a favorite lounging spot. Set Includes:One - Engage Ottoman. Finely Upholstered Fabric. Ottoman Weight Capacity: 441. Plastic foot glide. Seat cushion is KD velcro structure. The Palm Beach Spindle Table will be sure to add charm to any well furnished room. Easy to assemble with NO tools needed. Perfectly sized to fit as side or end table. Spindle Base. Easy Assembly. Assembly Required: Yes. Let sunlight filter through and nurture experiences of enduring light. Set Includes. Four - Stencil Chair. Kitchen & Dining (1376). Modern dining or accent chair. Organic leafy forest motif. Skin Care, Bath & Body (73). Sink into comfort and let the LumiSource Campania chair wrap around you in classic style. Available in grey and blue, pick the color that accents your area the best! Finish/Color: Walnut, Blue. So why buy from us?. Featuring a large trunk like drawer that provides concealed storage for any living essentials. Our goal is to provide you with a huge selection and the freedom to choose from only top quality products, without overwhelming you with poor value options. Showcasing a button tufted lid and available in multiple finishes and fabrics. Luggage & Bags (153). Kids' Play (539). Finish: Blue Fabric. A padlock icon should also appear at the top of your browser. Sturdy hardwood construction features a beautiful walnut wood finish. Made of Walnut Wood, Fabric. Finish: Walnut. Skin Care, Bath & Body (73). Kids' Play (539). So why buy from us?. And our friendly and knowledgeable phone staff is available 24-7! Comfortable, yet ultra stylish, the LumiSource Rockwell Chair is the perfect piece to accent any area. Available in a variety of great colors the Rockwell Chair is upholstered with a stylish woven fabric, accented with a button-tufted back, and solid wood legs. The Agi is available in your choice of grey, beige, orange, and now blue fabric upholstery. Agi Mid-Century Wooden Side Chair. Sturdy hardwood construction features a beautiful walnut wood finish. Made of Walnut Wood, Fabric. End the rule of unjust sovereignties that wage a useless war for your interiors. Empress leaves the would be heiress of holistic furnishings in the dust, with a design that rivals any competitor. Empress is heralded with deeply tufted buttons, plush cushions and armrests that convey that perfect air of nobility.